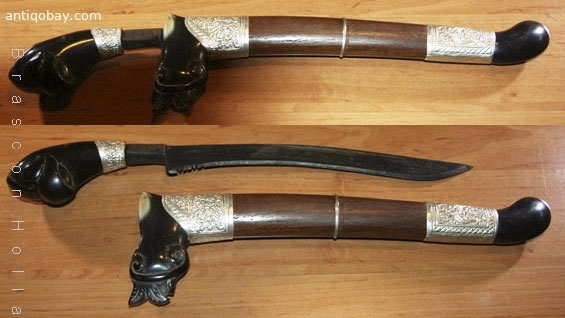 A very rare example of a short sword of penai of northern Sumatra in origin. 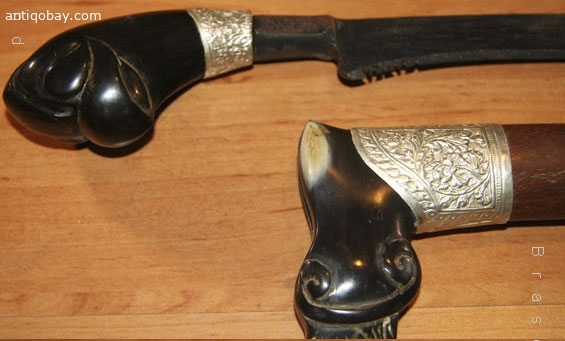 Hilt is made of very well selected horn, and is in the form of birdhead. Wooden sheath has horn top and tip, and silver floral motive ornaments. Very sturdy single edge blade with a sublime arcing profile and a rather tapering tip.